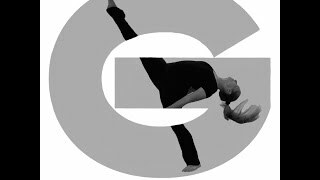 Institute of Dance Artistry (IDA) is presenting the 10th Anniversary of the Generations Dance Concert at Montgomery County Community College. (PRLEAP.COM) November 5, 2014 - We are excited! Institute of Dance Artistry (IDA) is pleased to announce that thanks to the IDA Community our Kickstarter campaign has been successfully funded. As you know, our goal for this project was to finance the 10th Annual Generations Dance Concert. Generations was developed in 2005 by IDA Owner / Director Jamie Lipskin. It brings together professional dancers throughout the Philadelphia dance community and student dancers to perform a very entertaining show to raise money for charities that are near and dear to the hearts of the dancers. In the past nine years Generations has raised over $40,000 for charities including; Katie's Kids for the Cure, Pediatric Brain Tumor Consortium, Be The Match Foundation, CHOP, Cystic Fibrosis Foundation, Breast Cancer Research Foundation, and Ronald McDonald House. For this year's 10th anniversary show, the money raised will be split between two charities; Cystic Fibrosis Foundation and Crohn's and Colitis Foundation of America. IDA's mission is to teach dance as an art form and to give back to the community through dance. IDA raises the funds to produce the concert by holding special dance events for the students. This season IDA will be offering a dance team clinic, a student choreography showcase, a Zumba-thon, and a Halloween dance party to raise money for the concert costs. Presenting is never as easy as it looks and there are all kinds of expenses that the ticket buyer never gets to see. You have to rent a room, in this case a wonderful auditorium at Montgomery County Community College. You need to cover the cost of costumes, lighting, music, tickets and many, many other items. The clinics, showcases and the Zumba-thon help but we needed a little more help. When we reached out for support to offset concert costs through Kickstarter the response from the IDA Community was overwhelming. Our goal for this campaign was $1,500, we raised $1,830. All money from tickets sales go directly to the charities. Additionally students and teachers of IDA work together to have a bake sale at the show as well as high-end raffle baskets to raise even more for the beneficiaries of the concert. To celebrate its 10th Anniversary concert, IDA will host a Generations after-party at its Fort Washington studio immediately following the show with a DJ, food, photo booth, and fun. 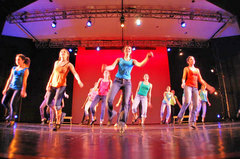 IDA, located in the Philadelphia suburbs, is a school of modern, ballet, pointe, jazz, tap, lyrical, and hip-hop dance. Devoted to the philosophy that dance is an art, not a competitive sport, IDA provides the ideal dance education for all its students. Students with professional aspirations are able to make a smooth transition into the college and professional dance worlds and students who dance as a fun hobby are able to do so in a positive, supportive, non-competitive environment. The studio's mission is to teach dance as an art form and to give back to the community through dance. We accomplish that goal throughout the year with performances and fundraisers to support many charities. Students of IDA are given the tools to develop strong dance technique, artistic ability, self-confidence, and passion for the art of dance. The individual and unique talents and abilities of all are embraced and encouraged. To learn more about the Institute of Dance Artistry, please visit: www.instituteofdanceartistry.com. To reserve tickets please contact IDA at 215.628.0600 or e-mail us at idadance@comcast.net.